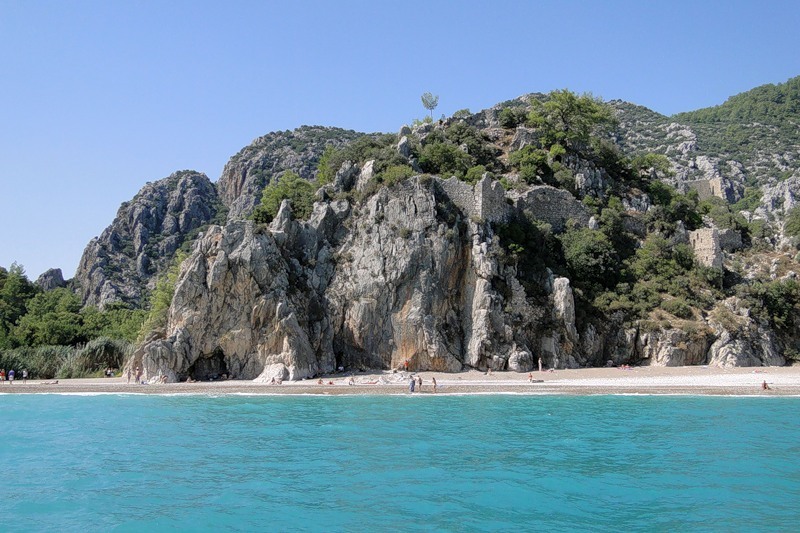 Just down the road from the more famous Olympos, Adrasan Cove is a tranquil spot, a paradise of blue and green with a two-kilometer long beach beloved by swimmers and sailors on day trips away from their villas in Antalya. 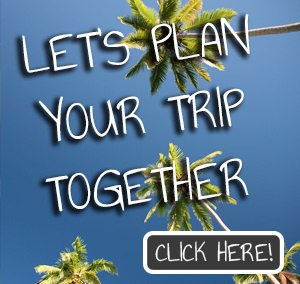 There are a few boutique hotels here and a few restaurants, with wooden platforms built over the stream that meanders to the waterfront.There are a ton of excursions to Sulu island from Adrasan by private boats. That area is known as Turkish Maldives, due to the magnificent blue color of the water. LocatedinthesouthernholidayregionofAntalya, OlymposBeachisknownprettywell,but because of its beauty it has to be on the top of our list. Generally preferred by younger couples and teenagers, Olympos is situated near Mount Olympos, dotted with ancient sites along old roads, greenery and natural wonders.It might just be one of the best places ever to stay at with a tent for a night. 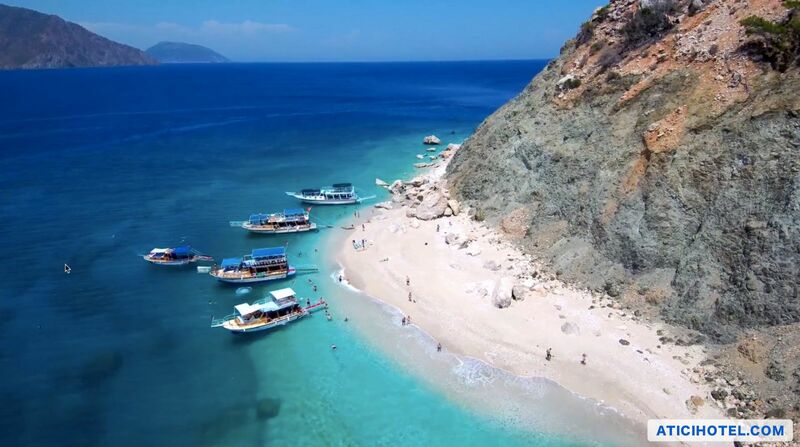 SeparatedfromtherenownedcityofOlympos only by a rock, Çıralı has one of the most beautiful secluded beaches on the Mediterranean coast and, like Olympos, is the site of ancient Hellenic ruins and historic sites. Therefore, Çıralı is not asknown as its neighbor Olympos.Çıralı is famous for its flaming rocks, or natural flames that burn constantly on a mountainside at the north end of the village. That is a place where legends about Chimera came from. People used to believe that this mythical creature is locked under the mountain. Phaselis is not only a beach but also the site of ancient ruins. Located in the northern Antalya town of Tekirova in the district of Kemer, this district has a stunning view overlooking the Mediterranean coast and crystal clean beaches with fine sand. 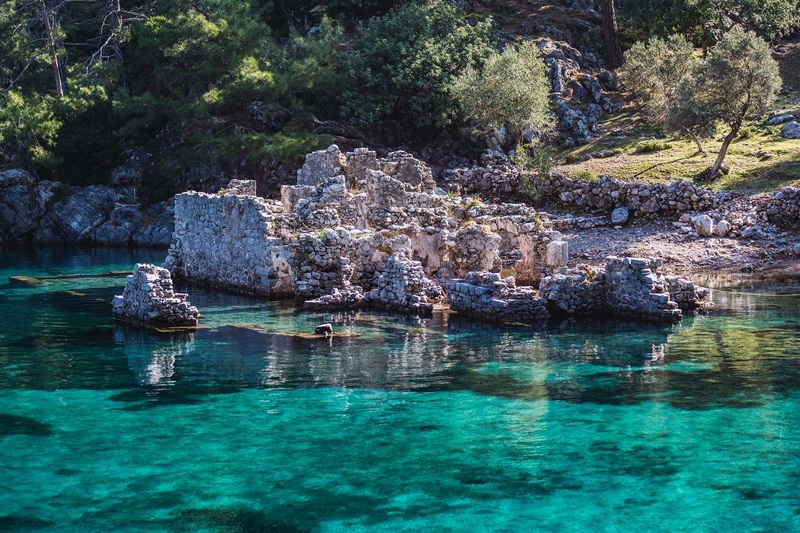 An earthquake sent the now ruins partially underwater which creates the mystical appearance Phaselis portrays today. 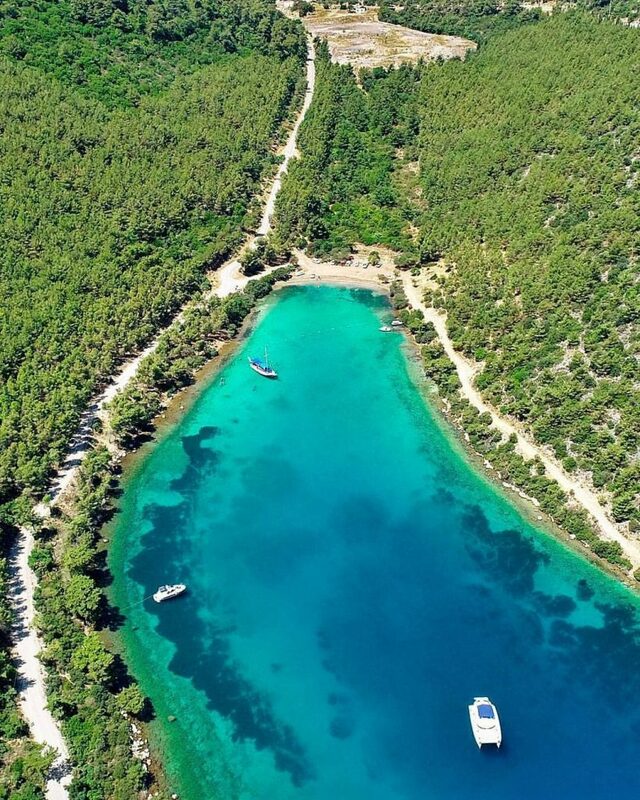 CannetKoyu or paradise beach is located in Bodrum. If you ever will be somewhere around, you have to spend time there, take aswim with the fish and then relax under the pine trees. This place attained it’s nickname due to its beautifully structured coastline which is lined with trees as close as a few meters from the shore and its crystal clear blue water. 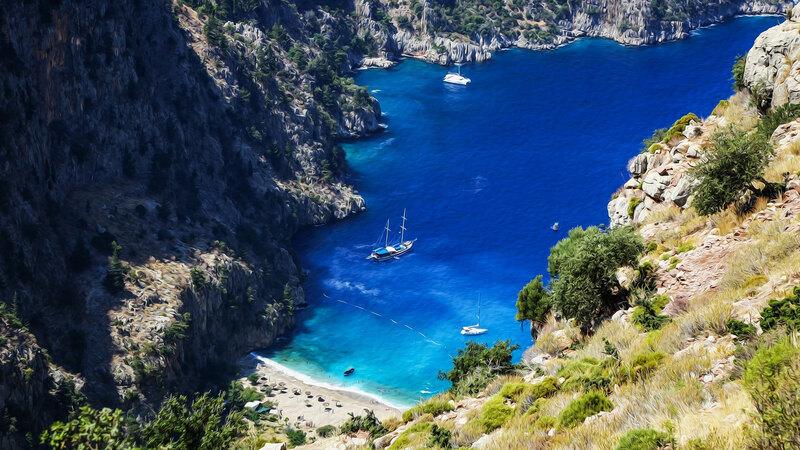 Only accessible by boat, Fethiye’s KelebeklerVadisi (Butterfly Valley) is a truly remote beach where you’ll find nothing more than nature in its full beauty. Also, home to over 100 species of butterflies. Nature is so remote and still untouched at this place. The glorious mountainous valley opens to the brilliantly blue sea with a white sand beach in its midst. In an area where a waterfall cascades down from a canyon and flows into a river right by the lavender flowers, not surprisingly this area is under government protection.